Do you have a plumbing problem that needs immediate expert attention? Call 770-744-0210 today for prompt Cartersville plumbing, water heater, and drain cleaning service you can trust. We are a family owned and operated local company that will provide you with the ideal plumbing solutions for your home, at a reasonable rate. Take advantage of our online coupons when you click here. It is always best to be prepared in case of a plumbing emergency. In most cases, these issues arise at the worst time. The more prepared, the greater the likelihood of minimizing damage and timely, costly cleanup. As a homeowner, there are precautions you can take, and finding your ideal Cartersville plumber ahead of time is one of the most important. Instead of scrambling around trying to find someone to come in and provide a solution, you can just place the call and wait for a licensed plumber to arrive. 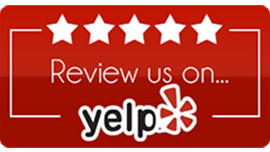 If you want to know what others in your area think of us, click here for online reviews. A burst pipe is a serious plumbing emergency, posing risks that range from property damage to health issues. Standing water after the fact can create health risks from bacteria and pathogens in the water. A slab leak occurs under the concrete slab of your home and while you can’t see it as it happens, you may notice signs after the fact. These include saturated mold, wet carpets, damp walls and floors, puddles, mildew and higher water, electricity, and gas bills. If you notice any of these signs, call for help right away to have the problem fixed before the damage gets worse. Are Tankless Water Heaters Cost Effective? If you currently have a water tank style water heater and often run out of hot water at the most inopportune times, then you may want to try a tankless water heater. The tankless variety of water heater never runs out of hot water because the wateris being heated on demand. A heater is connected to the plumbing system and you can have hot water whenever you need it, for as long as you need it. Tankless water heaters are highly efficient because they only use energy when hot water is in demand. Call Georgia Plumbing Experts at 770-744-0210 in Cartersville, GA and the surrounding area if you need professional plumbing service and exceptional customer service. The answers you need are just a phone call away.